Class start the week of September 10, 2018. The hardest part of starting a dance class at a young age is learning how to be in a class. As a parent this can be very frustrating to watch your dancer "act up" or cry in class or even just stand there. Rest assured our teachers are very adapt at dealing with young children. At this age they will learn how to stand in line, pay attention to their teacher, stay on their spot and how to interact with other students. Of course they will learn dancing too! Our teachers are constantly in contact with the office. 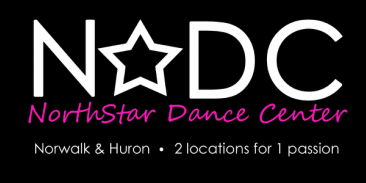 If they are having trouble with their class we immediately assess the situation and come up with a solution to provide the best learning experience for your dancer. Having said all that we find it best that the parents let their dancer go into class on their own. They might cry or run when they shouldn't but the teacher and helper will do their best to handle it. Always know that we take teaching all our students seriously and only want the best! Never hesitate to talk with your teacher or the office if there are any issues. Note From Ms. Jennifer in regards to ballet! There are very good reasons why Ballet has endured these 350-some years: the poise, grace, discipline, and fitness of ballet dancers is admired around the world. Far from remaining a stodgy old dance relegated to the courts of Europe, Ballet has evolved into a very technical and scientific art form, teaching dancers of all ages techniques that help them to use their instruments to their best advantage. Any dancer can look to Ballet to help improve their movement-- while also learning to unlock their imaginations and engage their audiences. All ballet students PK level and above must wear a black leotard, pink tights, and pink ballet slippers. They may wear a sheer ballet skirt that can be removed if instructed to do so by the teacher. Acro students need black leotards, white acro shoes, and shorts. If they wear a t-shirt to class it must be fitted. Tap and Jazz students should wear black leotards, tan tights, and either tanjazz shoes or black tap shoes. Hip Hop students should wear shorts or pants, t-shirts, and silver sparkle tennis shoes. Taperina and Tumblerina Students should wear a leotard and tights of their choice along with the appropriate shoes for their class. They may wear a tutu or skirt as well. If you would like to pay your tuition online, we can help guide you through the process! To make a payment go to pay now in blue, enter the amount and click next, enter the information and then click next, follow the directions to the end.